Last edited by d.b.cooper1; December 15th, 2013 at 22:06. Horologic, Mil6161, Rygen and 1 others like this. OhDark30, lucky watch and putra3007 like this. Just put mine on a new Crown & Buckle leather nato in 'moss' to give it some new legs. starman69 and lucky watch like this. Mil6161, starman69, Kisifer and 1 others like this. 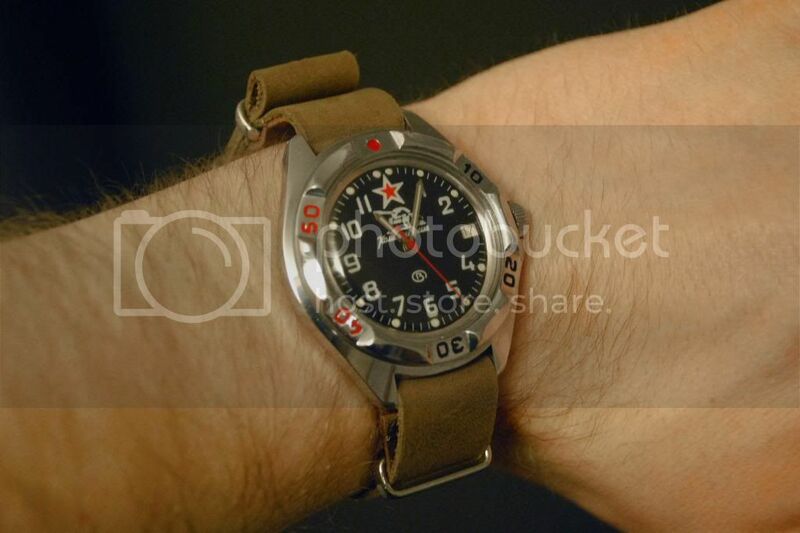 Is that a vintage watch ? I noticed the chevron logo is exactly like mine. That dial is nice. I've never seen one like it. Nope. Brand new. You can easily source it on Ebay. I believe will pop up as a top search.